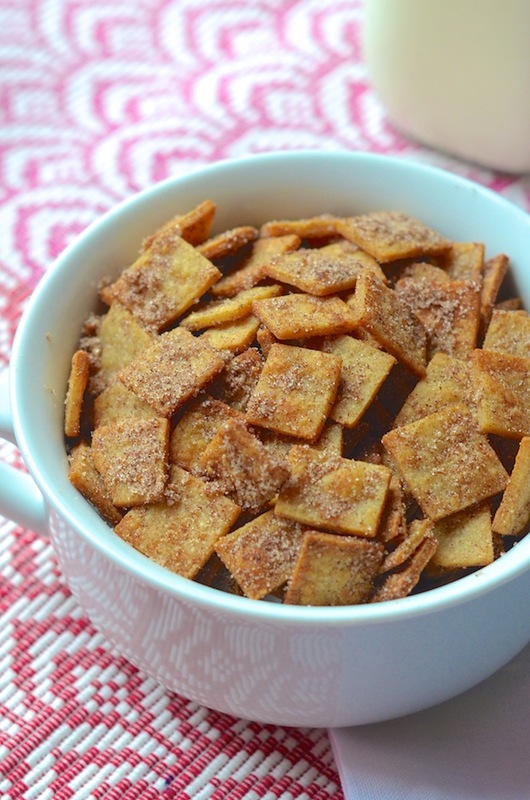 Cinnamon Toast Crunch was one of my favorite breakfast cereals when I was a kid. My mom didn't purchase it often (since it's basically a box filled with sugar), but when she did, my brother and I would tear through it in a couple days, filling ourselves generous bowls for breakfast, snacks, and dessert. I loved the way the cinnamon and sugar coated every little square, and drinking the sweet cinnamon milk that was left behind. It's been years--possibly even a decade--since I've tasted the cereal, but it suddenly popped back into my head while I was researching an article about different ways to use tortillas. 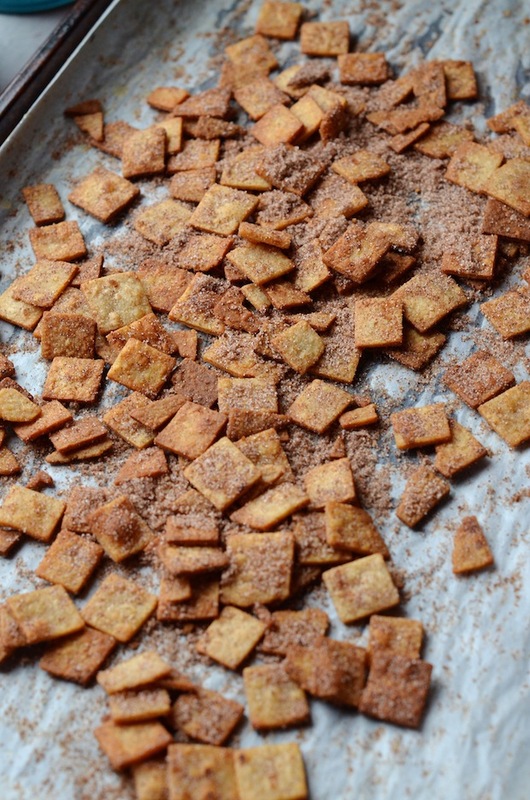 I figured that by cutting tortillas into tiny squares, coating with melted butter and baking until crisp, and then coating with cinnamon and sugar, I could create a fun homemade version of the cereal I loved--a Cinnamon Tortilla Crunch! 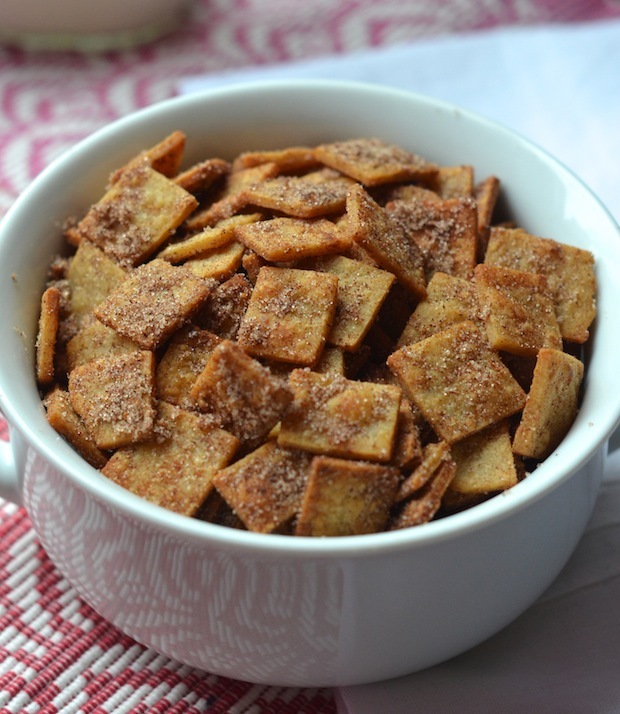 I went to work, and after a couple tries, I figured out the perfect way to create a crunchy, sweet cinnamon tortilla breakfast cereal. This works well with both corn and flour tortillas--perfect if you have a bunch leftover from Cinco de Mayo! Now this is by NO means a healthy cereal (is there even such a thing?! ), but it's a really fun treat to enjoy as dessert or on a special occasion. And you can control the amount of sugar you add, or even play around with the spices. I bet a touch of cardamom or ginger would be a fun twist! Without the milk, this also makes for an amazing crunchy snack to enjoy while watching movies or to sprinkle on top of ice cream or yogurt. So many fun things to do with them! Stack the tortillas and use a knife to cut into small 3/4" squares. Place in a large bowl and pour in the butter and vanilla. Toss to coat well, then divide onto the baking sheets and spread out evenly into a single layer. Bake 7-10 minutes, then toss and bake 5-10 more minutes, or until all the pieces are toasted and golden. (Keep an eye on them as they can burn--thinner corn tortillas will cook in less time than thicker flour ones--adjust your timing accordingly!) And note that they'll crisp up a bit as they cool so don't worry if they're still a tiny bit soft when they come out of the oven. While the tortillas bake, whisk together sugar, cinnamon, and salt in a large bowl. Remove the hot toasted tortillas from the oven and immediately toss into the sugar mixture. Toss to coat evenly, then spread out on the baking sheet and let cool completely. Serve with milk or on its own as a snack. Leftovers can be stored in a sealed container at room temperature. Best within 3 days. 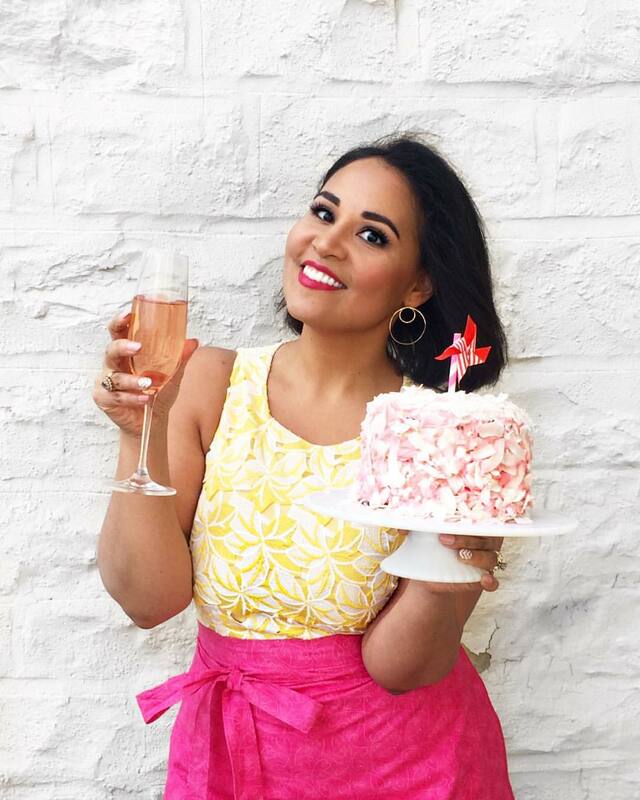 ***Love this recipe? Please do feel free to share it on Pinterest, Twitter, Facebook or your blog by posting a link and up to one image from my post. I do ask that you respect my original work and not republish this entire recipe on your blog, Facebook or any other forums. If you have any questions about how to best share this recipe, please feel free to email me. Thank you!